I’m a fruit girl. I love chocolate and I love vanilla too. But if I have to choose I will always pick fruit first. So pies and crumbles happen in my home frequently! 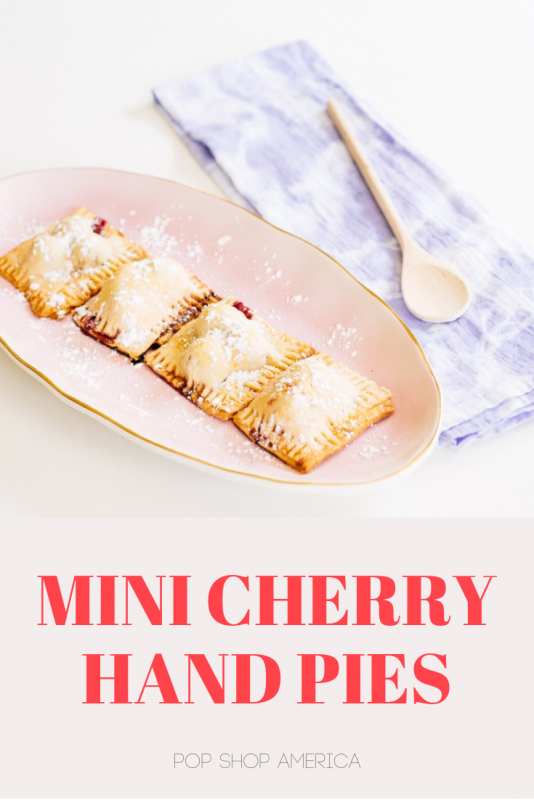 These Mini Cherry Hand Pies are about the easiest thing in the world! That’s what makes them so incredible. 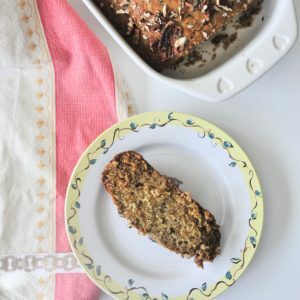 They are the perfect everyday or breezy weekend baking project. 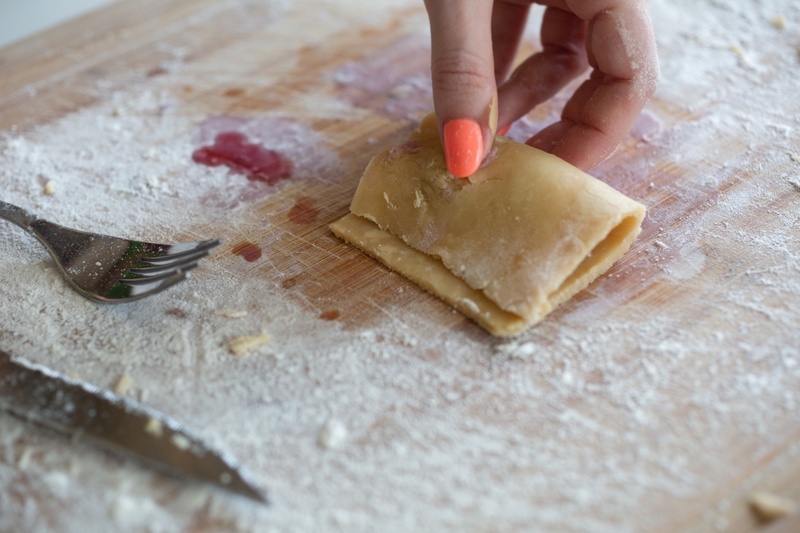 If you want to get straight to the Mini Cherry Hand Pies Recipe itself, scroll to the bottom. 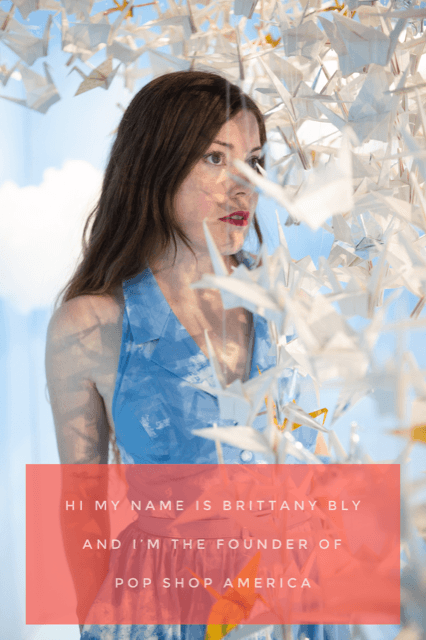 If you want to find out all the tips and tricks follow along here. Your ingredients are simple. You just need pie cherries, pre-made pie crusts (at room temperature), an egg wash, a pinch of sugar, and a pinch of powdered sugar. That’s it! If you want to get fancy – make your own crust. But it’s certainly not necessary. 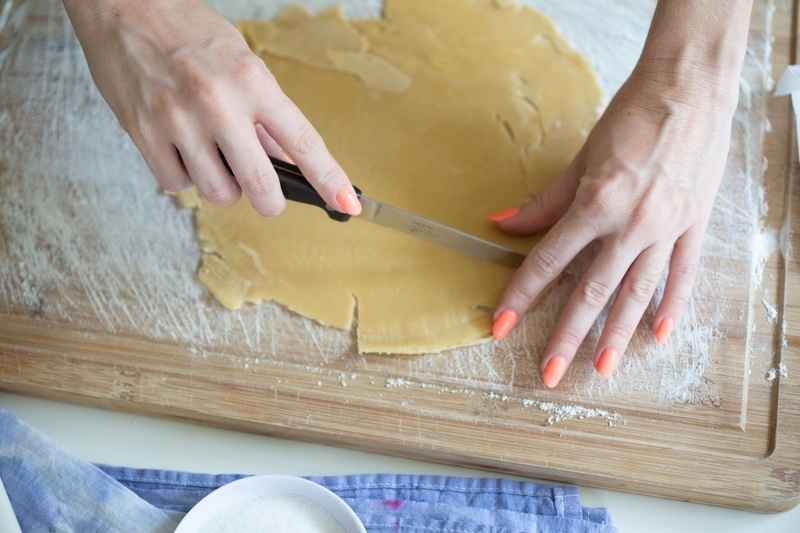 Sprinkle the area where you will place your pie crust with flour and dust your rolling pin with flour. 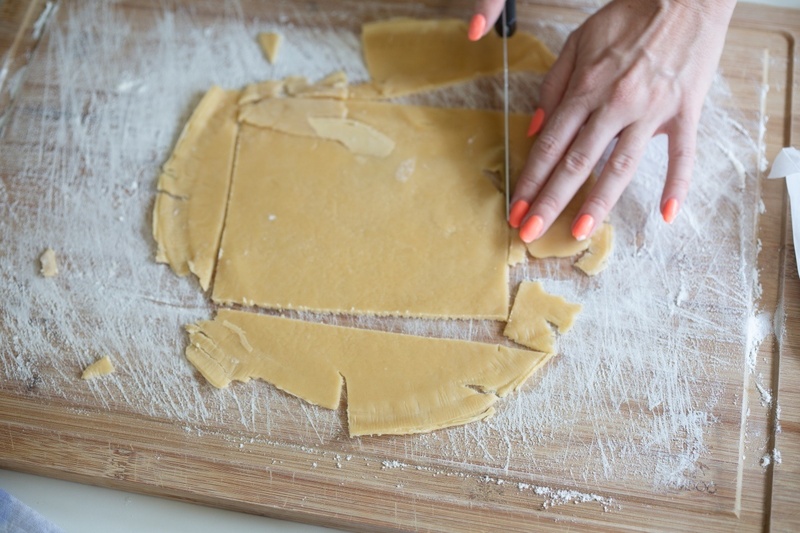 Then roll out your room temperature pie crust. Be sure you don’t leave any holes in the crust. 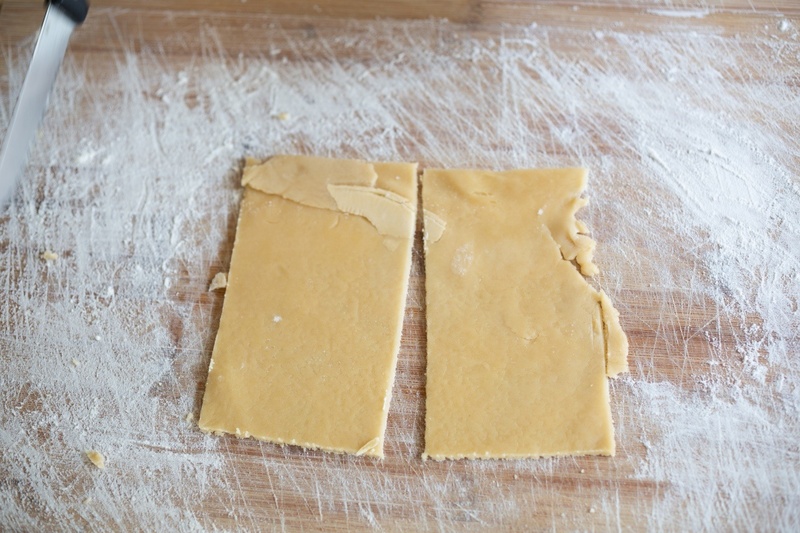 Gently cut the pie crust into a square – and then again in half. This will become 2 hand pies. You can place the rest of the pie crust to the side. Take a small spoonful of cherries and place them in the center. I like my pies a little bit healthy. So I used cherries that didn’t have a lot of sugar or extra syrup! Don’t these cherries just look heavenly? Now all you need is just a touch of water. Dip your finger in water and run them along the edges of your crust to seal them. 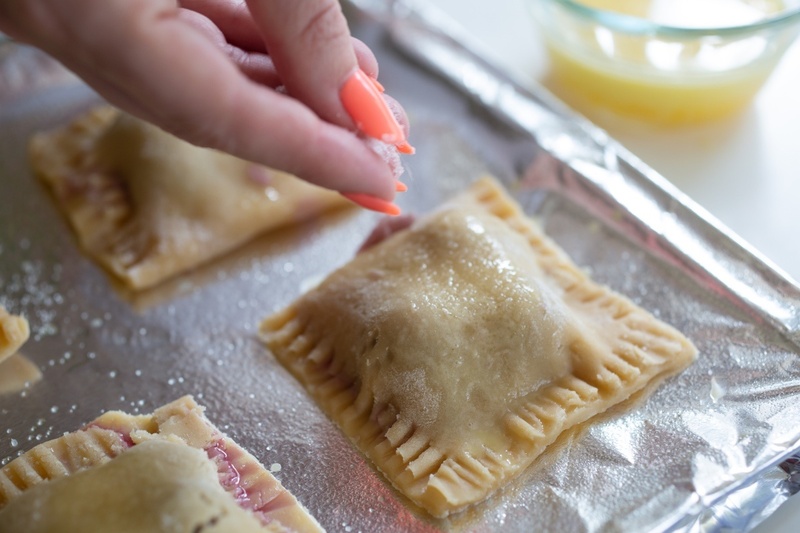 You could also use your egg wash that you will use for the top of your Mini Cherry Hand Pies. 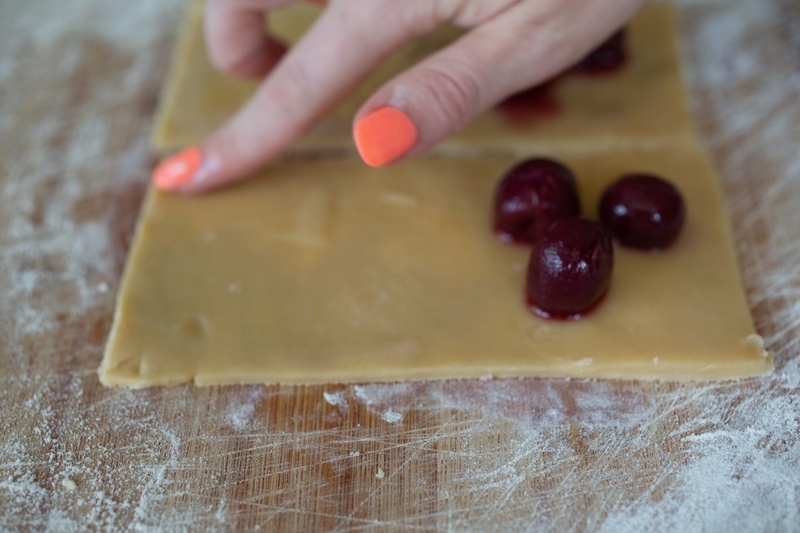 Now fold the pie crust in half leaving the cherries in the center. 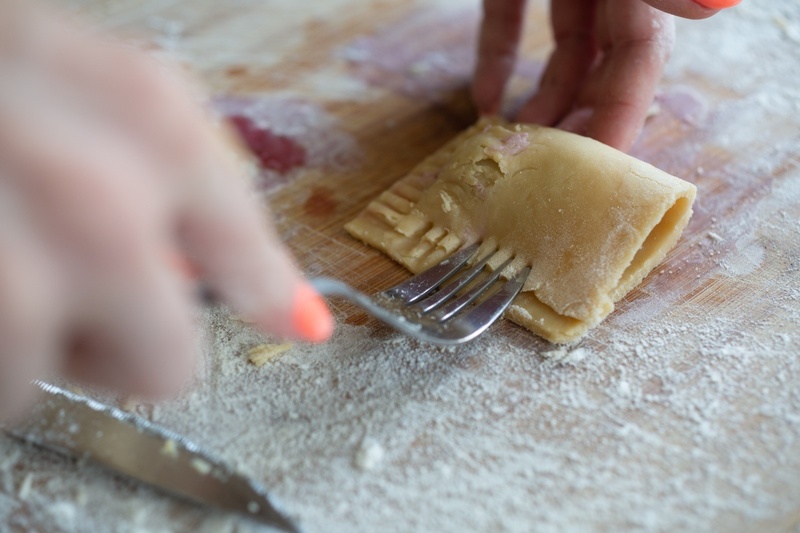 Use a fork to press the edges or use a tool that makes even more gorgeous and interesting edges. 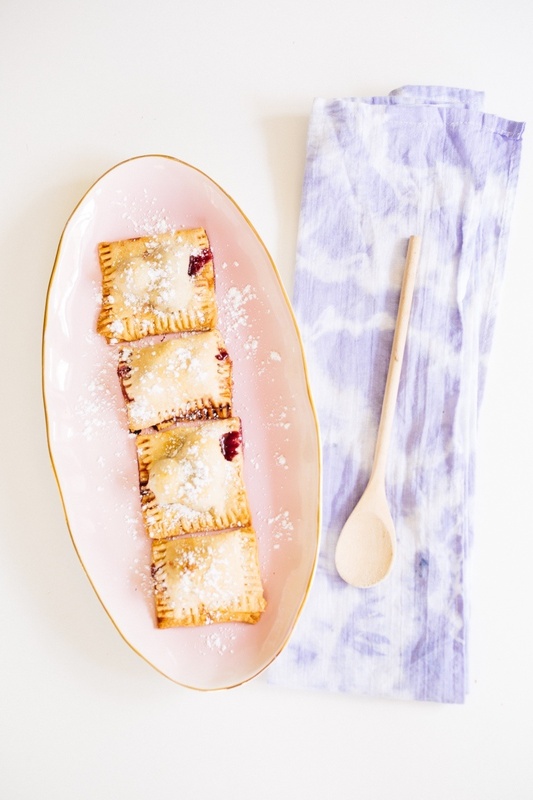 These Mini Cherry Hand Pies are already looking pretty great, right?! 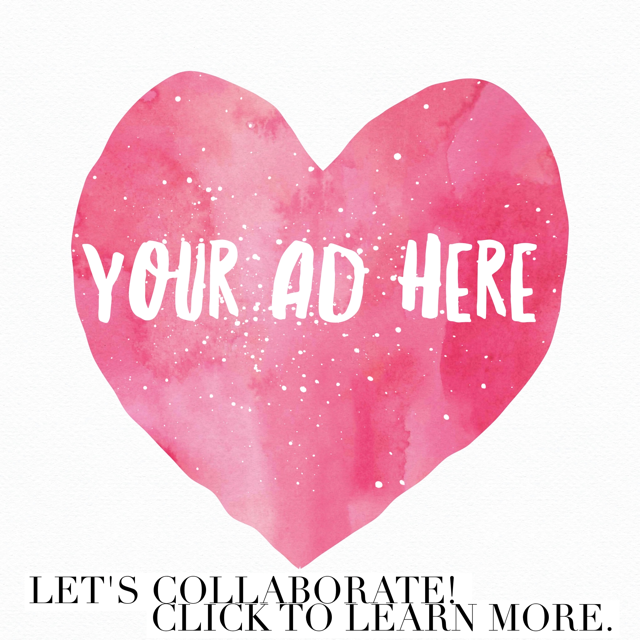 There’s just one more thing that’s going to make them extra special. And that’s adding an egg wash to the top and then sprinkling these pies with sugar. An egg wash is the perfect way to get a gorgeous golden brown on top. You can learn how to make it here. I use an egg was on pies, croissants, and some breads. It will make your baking NEXT LEVEL. All you need to do is brush on a thin layer using a basting brush. And then sprinkle each with just a bit of sugar. Bake them in the oven at 400° for 20 minutes or until the pies are golden brown. 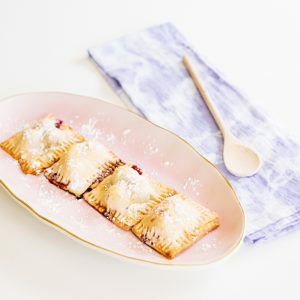 Now normally I say wait until the desserts are cool but not with these Mini Pies! Instead let’s FEAST! If you can manage it before you start feasting, sprinkle them with just a touch of powdered sugar. 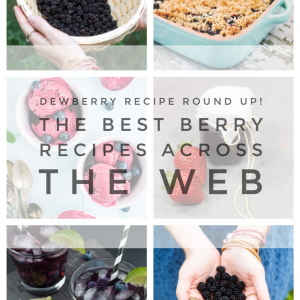 Get some fruit in your belly! 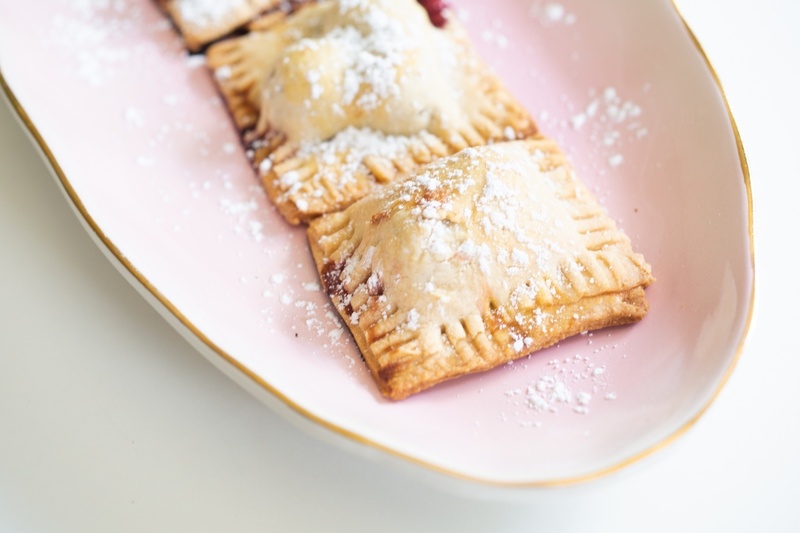 Make these Easy and Tasty Mini Cherry Hand Pies. 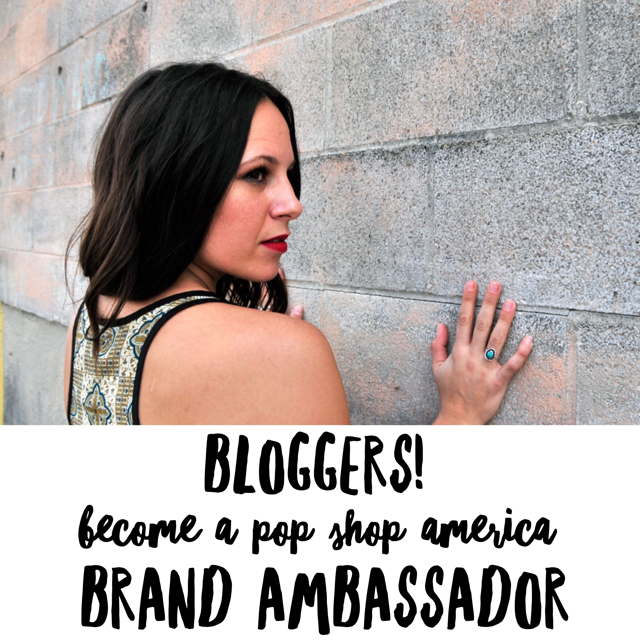 An Original Pop Shop America Recipe! Preheat oven to 400 degrees F and grease a cookie sheet. Allow your pie crusts to thaw to room temperature. 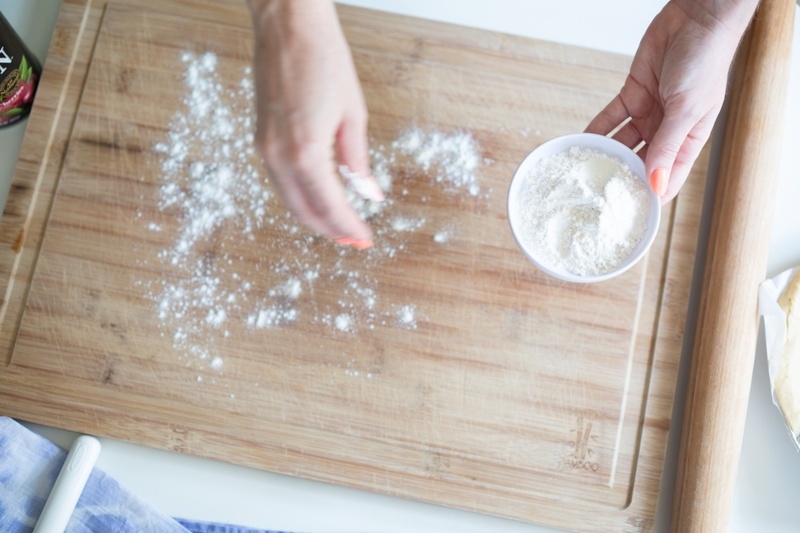 Flour a work surface thoroughly and roll out your pie crust to flatten it. Cut the crust into a square and then again into two rectangular halves. Be sure that your crust doesn’t have any holes! 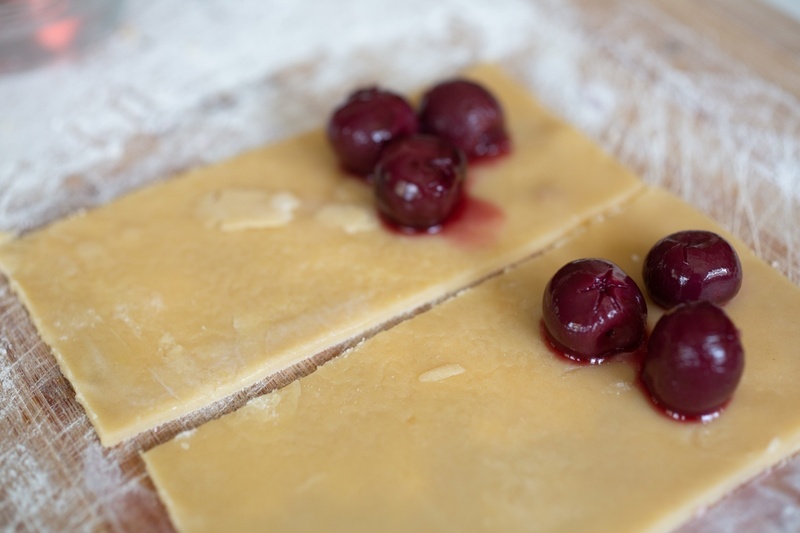 Fill one side of the pie crust with a small amount of cherries. Drizzle or brush water or egg was along the edge to help the pie crust to seal. Fold the pie crust in half, layering half of the crust on top of the other. 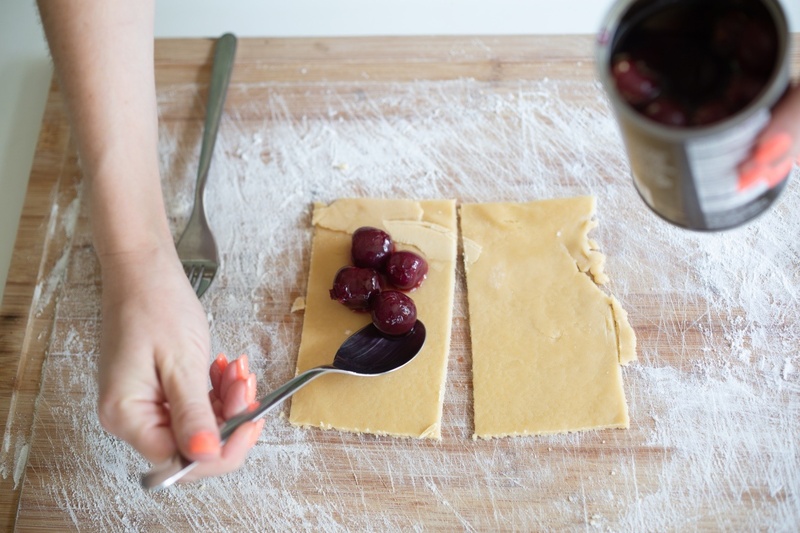 Use a fork or similar tool to press both layers together, keeping the cherries inside. 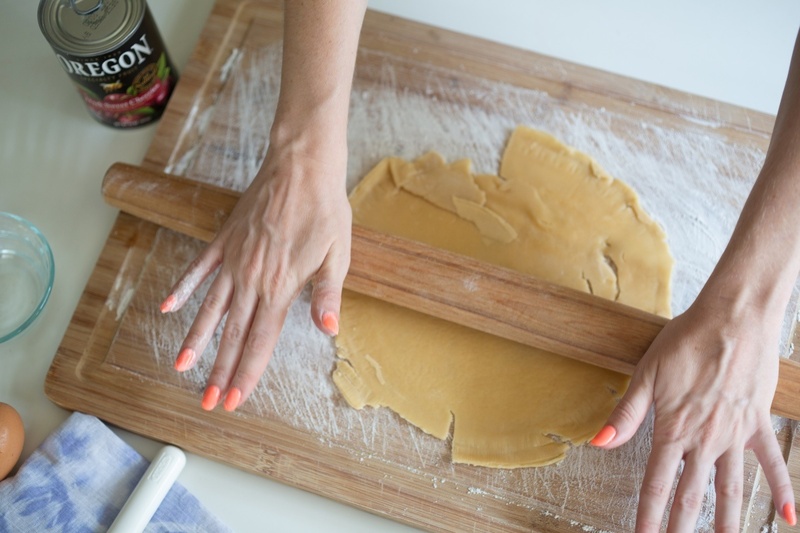 Roll the remaining pie crust into a ball and then flatten – to use all the pie crust! Repeat filling and sealing. 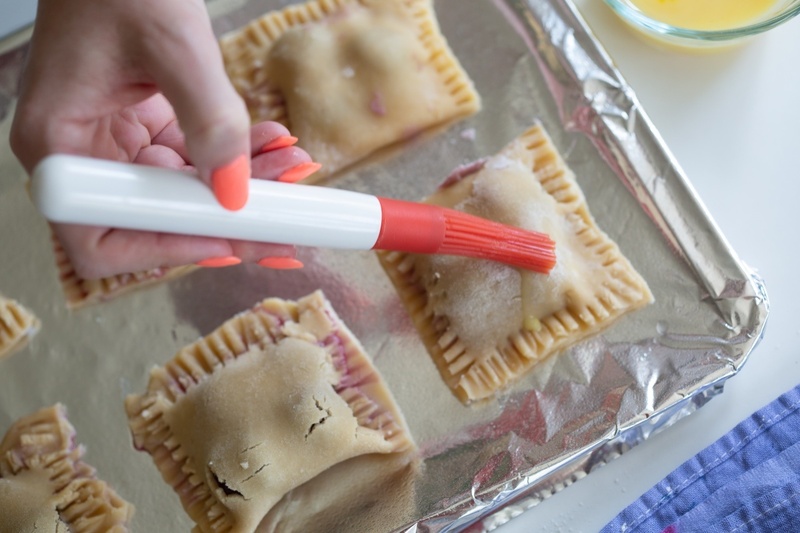 Place all of your Mini Cherry Hand Pies on the greased cookie sheet. Brush with an egg wash and then sprinkle sugar on top. 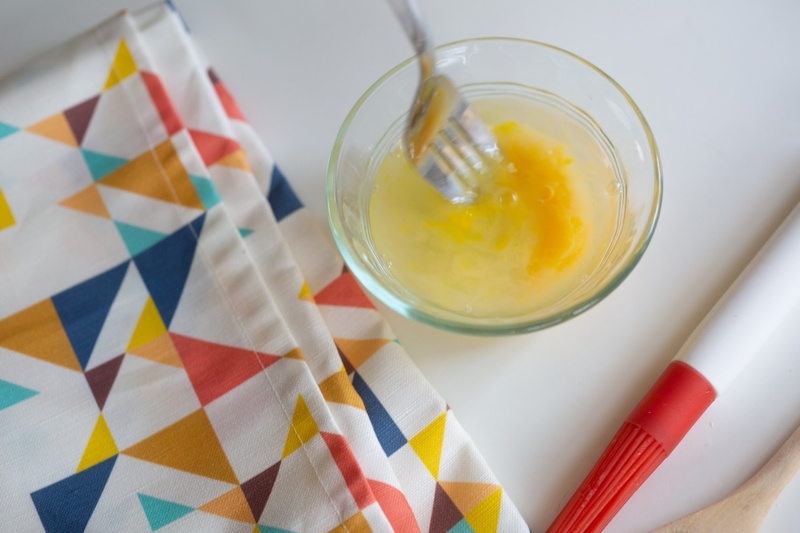 You can find our full Egg Wash Recipe here! 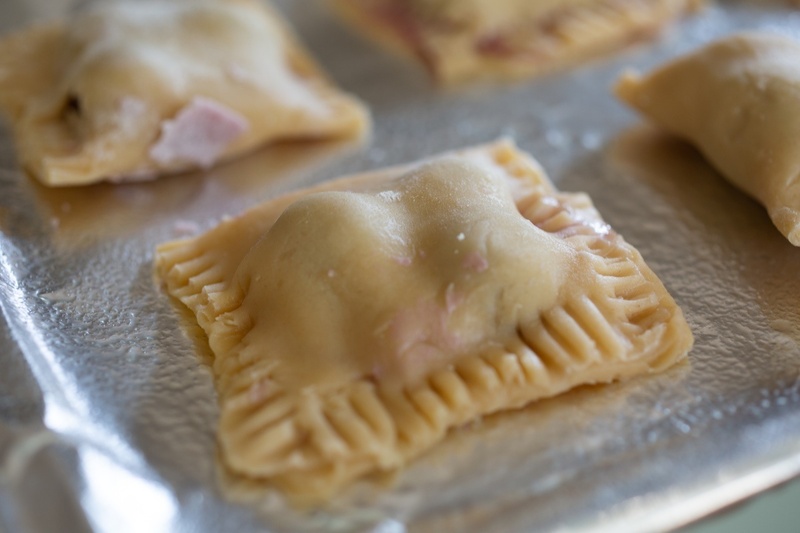 Place your Mini Cherry Hand Pies in the preheated over for around 20 minutes, or until golden brown. 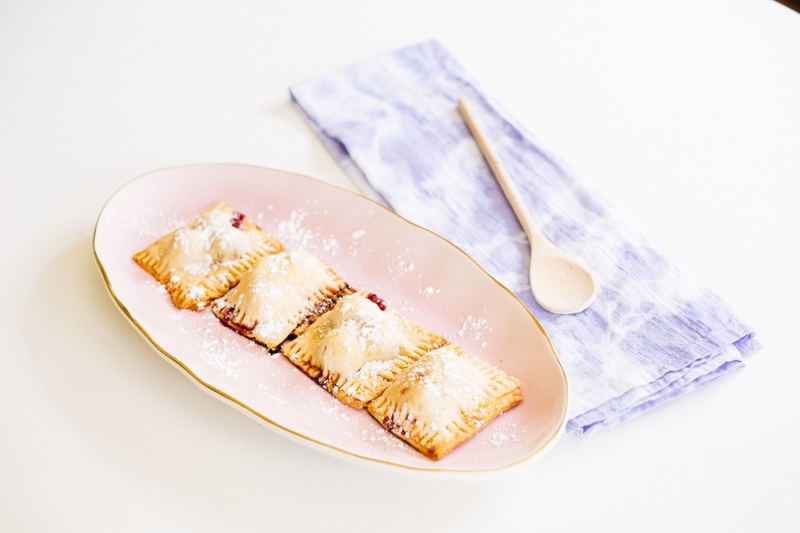 Sprinkle cooled hand pies with Powdered Sugar. 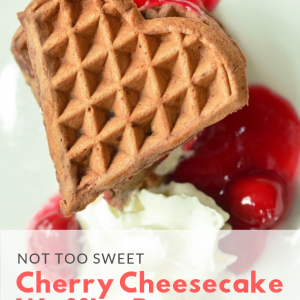 Serve with whipped cream, ice cream, or just enjoy them straight out of your hand! Those look great! Where do you get quality pie cherries from? Hi Paul!! Thanks so much and great question. I try to find cherries that are not in heavy syrup – one’s that are in water. It makes the pies a lot less sweet and more scrumptious!